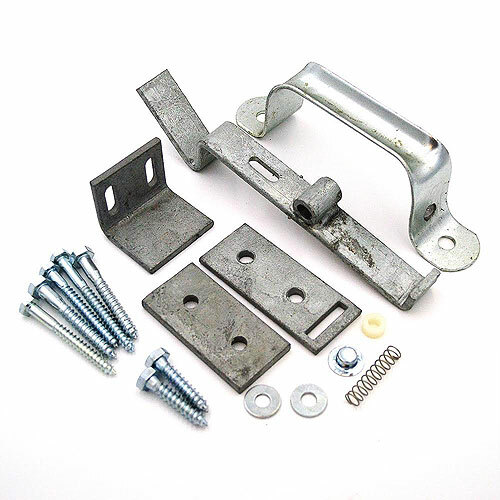 RAMM's top door latch system will make sure your sliding stall door stays secure and closed. 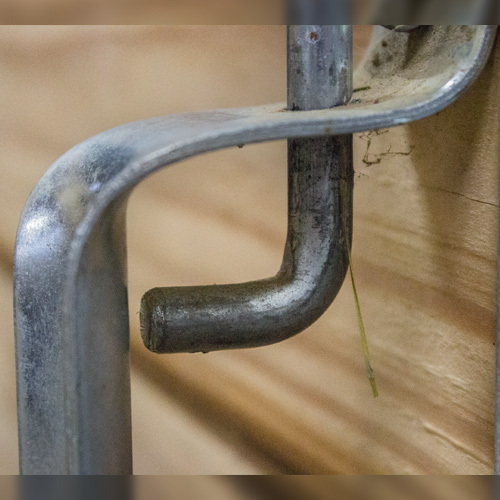 The latch is self-locking, so when the door is fully closed it will stay closed. 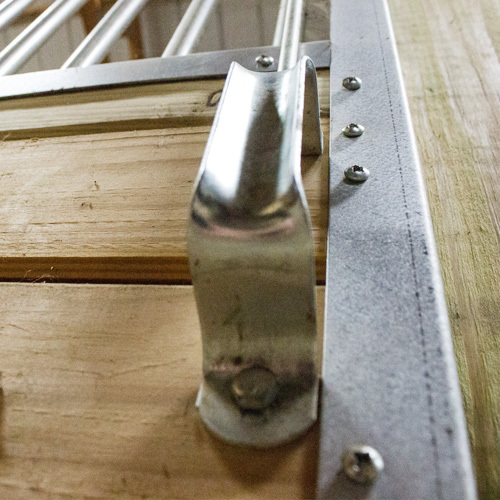 It is also made out of quality heavy-duty galvanized steel to keep away rust. 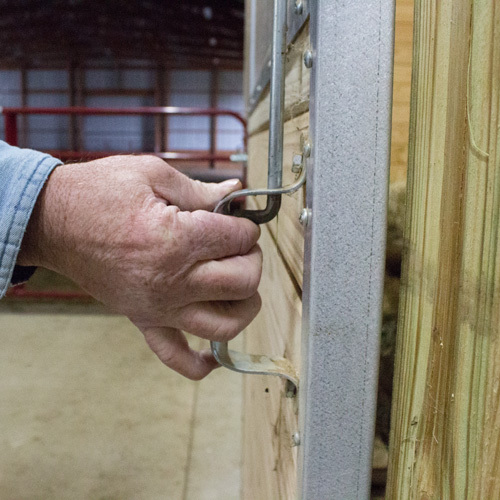 The kit is fully adjustable to fit almost every sliding stall door. 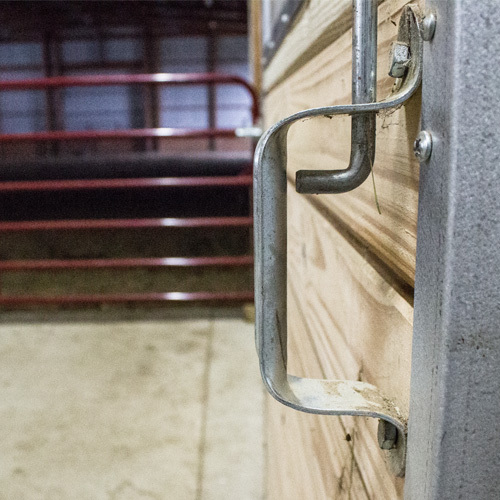 Its rugged design will ensure a long lasting, functioning stall door. 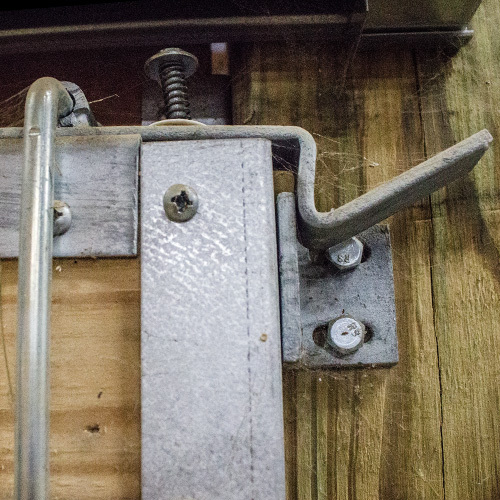 Keep your equine friends contained without a worry with this top door latch kit. 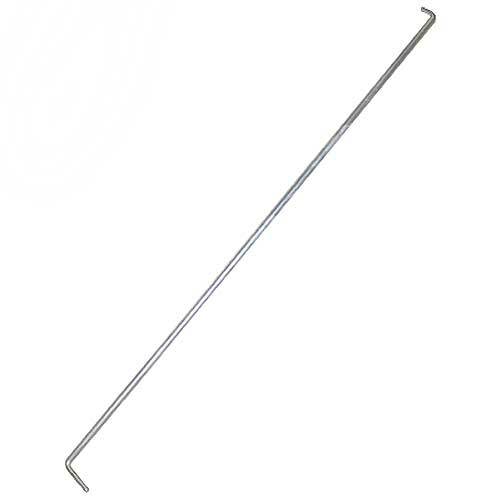 Which lifting rod fits your needs? Weight Rating: Doors up to 400 lbs. 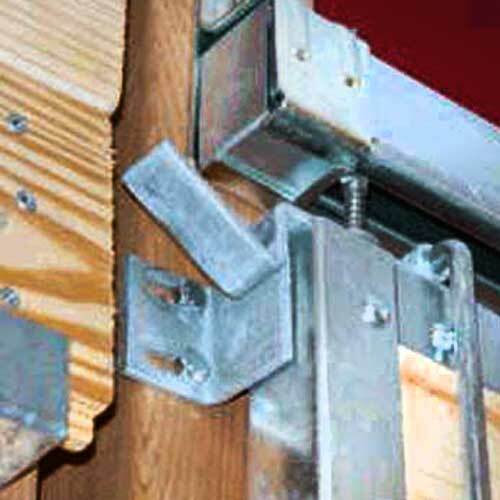 Installation: Installs quickly to the top of any sliding stall door with the included mounting hardware.